So I do not usually post things that aren't directly related to Eco-Babyz, but today I will, because all moms should be in on this before it hits big! Are you tired of Facebook? Twitter? Social networks that make big bucks off of you? How about a social network you can actually be part owner of? Do I have your attention? Wouldn't it be nice if you owned stock for a major social networking site? Then you simply must take part in Zurker! "There are dozens if not hundreds of social applications on the web. All of them want your time, and most of them want you to help them grow by referring your friends. But why should you? The only people who benefit when those apps grow are the founders and their investors. They stand to make hundreds of millions of dollars each if their product takes off, so it's no wonder they keep pressuring you to help them grow. At Zurker, you are a co-owner and an investor. You can earn vShares by referring your friends. The more friends you invite, the more equity you earn. 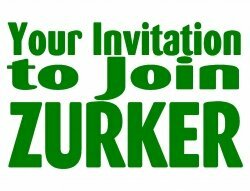 Zurker becomes better, and better, as more people join, increasing in value. As Zurker becomes more valuable, your stake becomes more valuable." You've got nothing to loose, that's for sure! You can only sign up through an invitation and it is free. 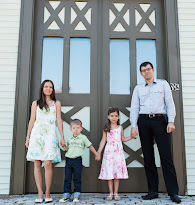 Please take our exclusive Eco-Babyz invitation for fellow moms.